Donald Trump’s forthcoming acceptance of the Republican Party’s presidential nomination this week may not be the only controversial changing of the guard at a storied right-leaning institution. New York reports that Fox News Channel head honcho Roger Ailes, who has been recently accused of sexual harassment by multiple female FNC staffers, may be relieved of his duties as early as this week. Rupert Murdoch reportedly made the decision to dismiss Ailes after conferring with his sons, co-CEOs and chairmen Lachlan and James Murdoch, following an internal investigation conducted by New York law firm Paul, Weiss, Rifkind, Wharton & Garrison. 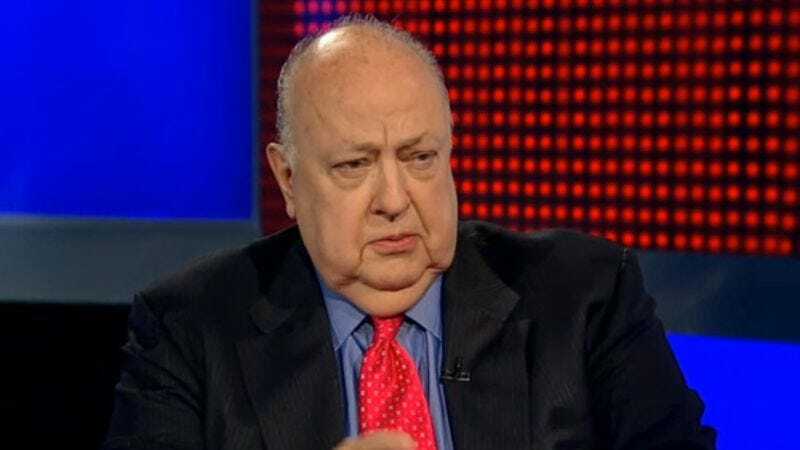 The probe began after former FNC personality Gretchen Carlson filed a lawsuit accusing Ailes of declining to renew her contract in retaliation for her refusal to acquiesce to his sexual advances. According to Carlson’s lawsuit, she met with Ailes in September 2015 to discuss years of alleged sexist misconduct at the hands of her co-hosts on the network’s Fox And Friends morning show, only for Ailes to proposition her sexually. “Ailes stated to Carlson: ‘I think you and I should have had a sexual relationship a long time ago and then you’d be good and better and I’d be good and better,’” the complaint said. Ailes also has his defenders within FNC, including Greta Van Susteren, Martha MacCallum, and Maria Bartiromo, all of whom said Ailes had always behaved professionally towards them during their respective tenures with the network. Meanwhile, the silence has been deafening from Megyn Kelly, FNC’s highest-profile female news personality, who the network defended following the contentious Republican primary debate that led to a feud between Kelly and Trump. Lest anyone go touting Fox News Channel as a surprisingly progressive workplace, New York also reports the Murdoch family has been at odds with Ailes for years over his infamously aggressive management style, and the spate of harassment accusations has finally given them the ammunition they need. But in the event that this is, in fact, one of those rare cases when an alleged sexual harasser is swiftly and forcefully disciplined, let’s not get bogged down with the nuances.